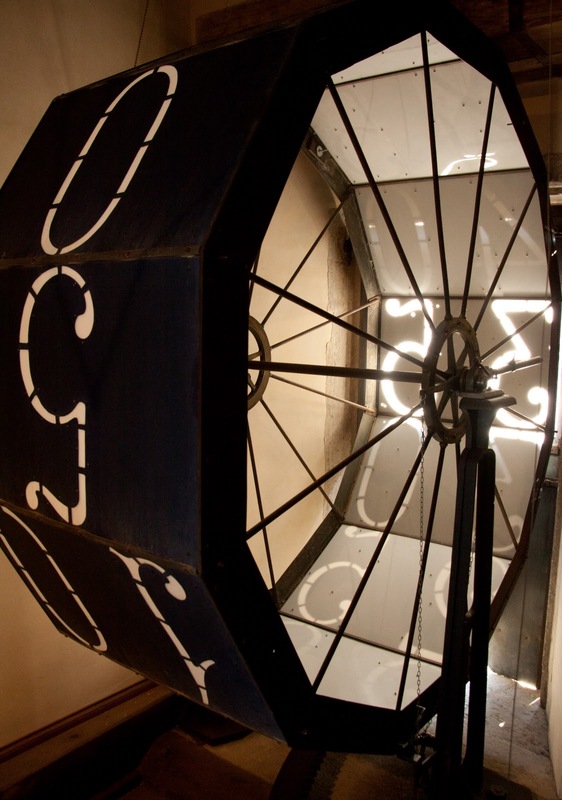 The back of the clock tower. 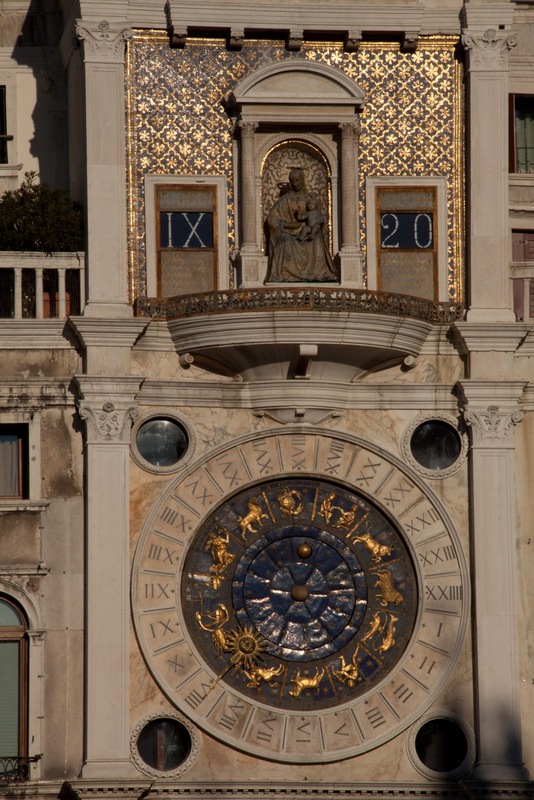 The face of the clock tower, as seen from the Piazza San Marco. 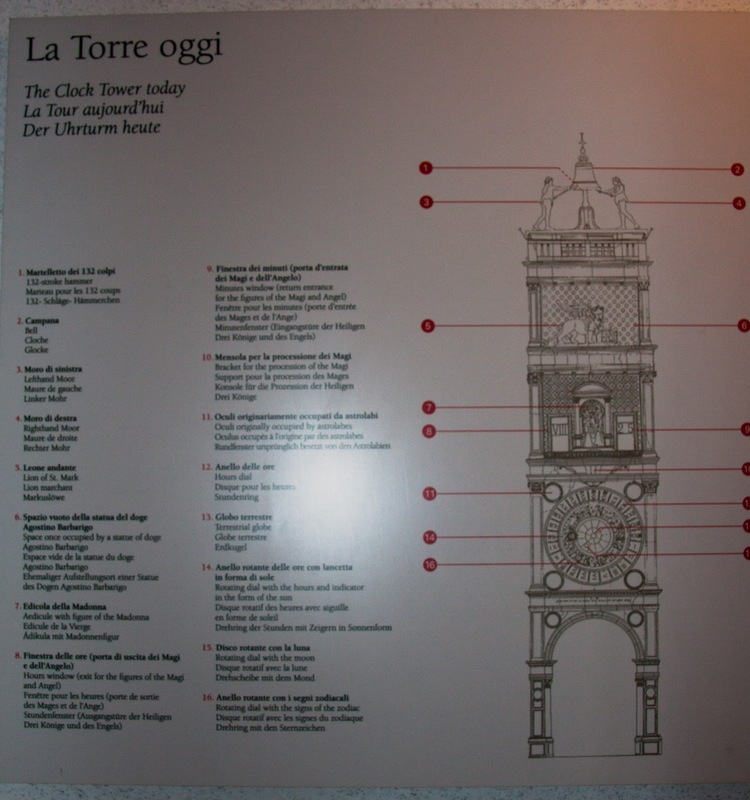 The digital clock is also shown. 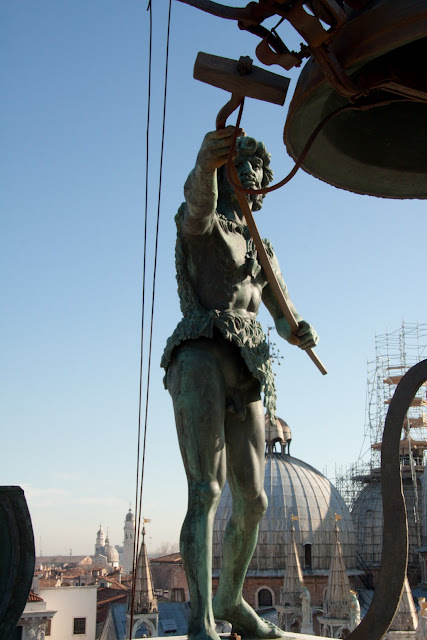 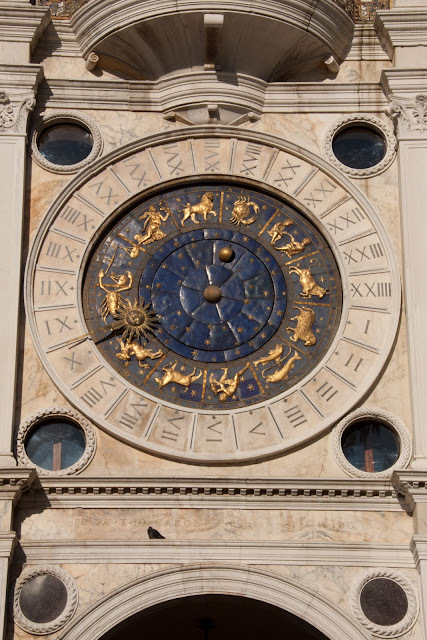 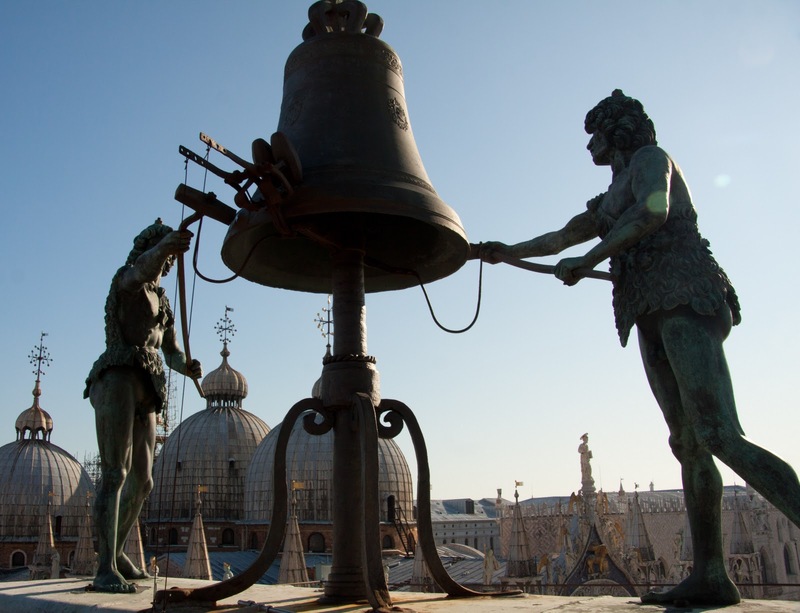 One of the biggest perks of our Rolling Venice pass was a limited-availability tour of the Clock tower. This tour ended up being the highlight of our entire trip. We were able to climb the entire tower and learn its history. The tower was originally started in 1496 as a way to cement Venice's status as a major European city of commerce and trade. 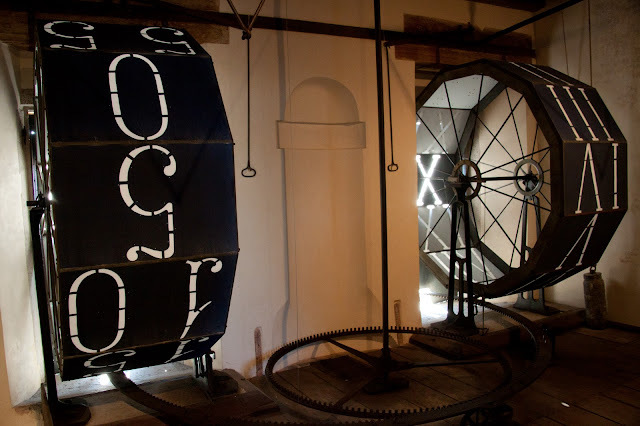 Until 1998 the clock-keeper and his family lived in the tower with the clock. 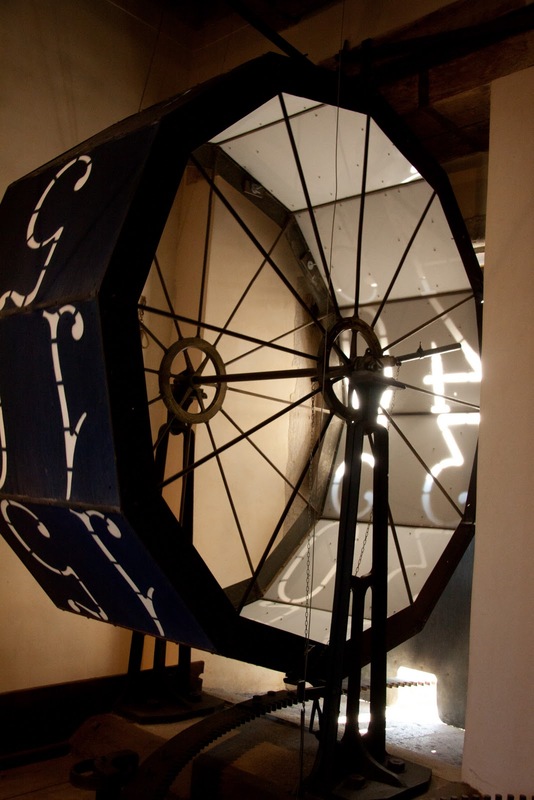 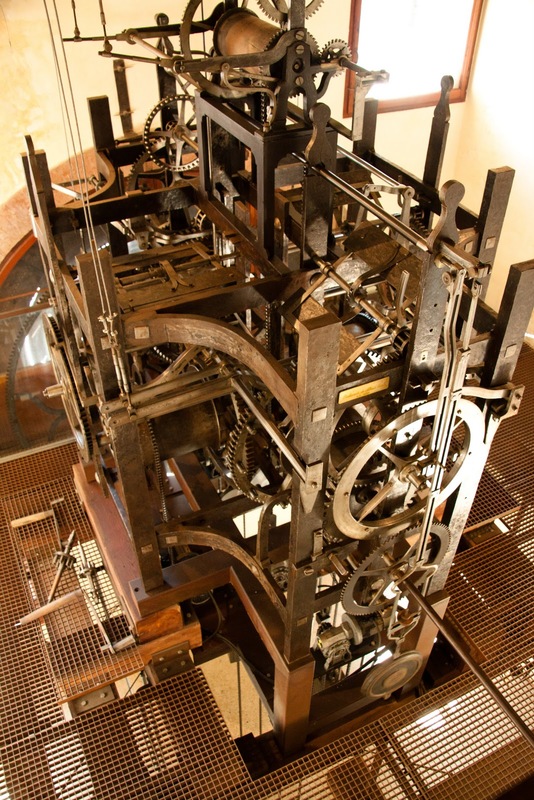 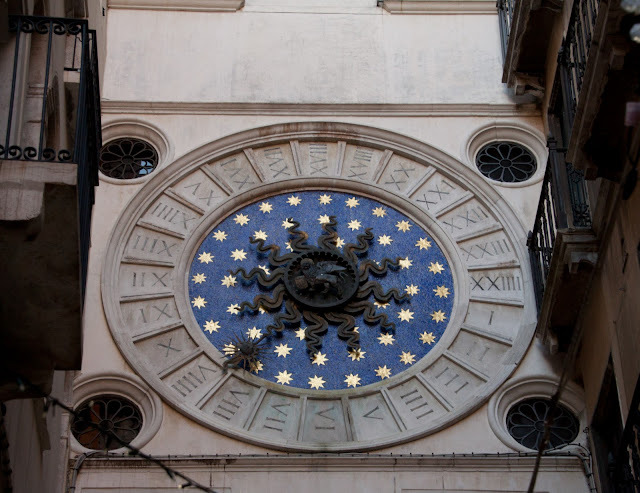 A large-scale renovation, lasting until 2006, re-structured the clock to be electrically wound. 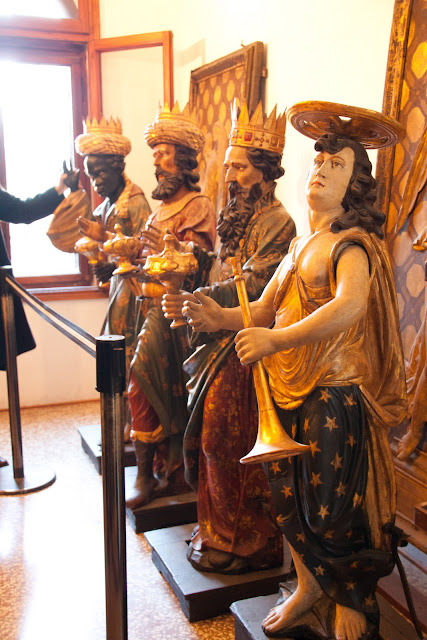 These magi once rotated out every hour and bowed before the Virgin. Now they're only brought out on the days of Ascension and Epiphany. 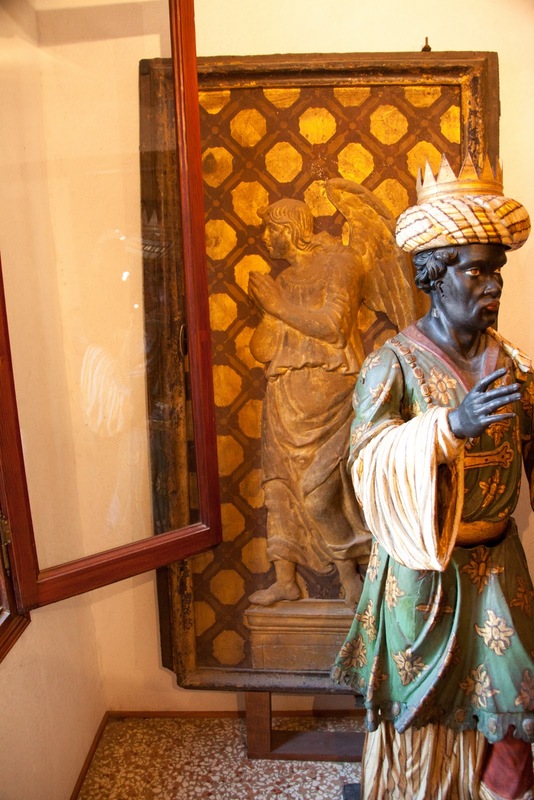 This is one of the two original doors- from the end of the 15th century. 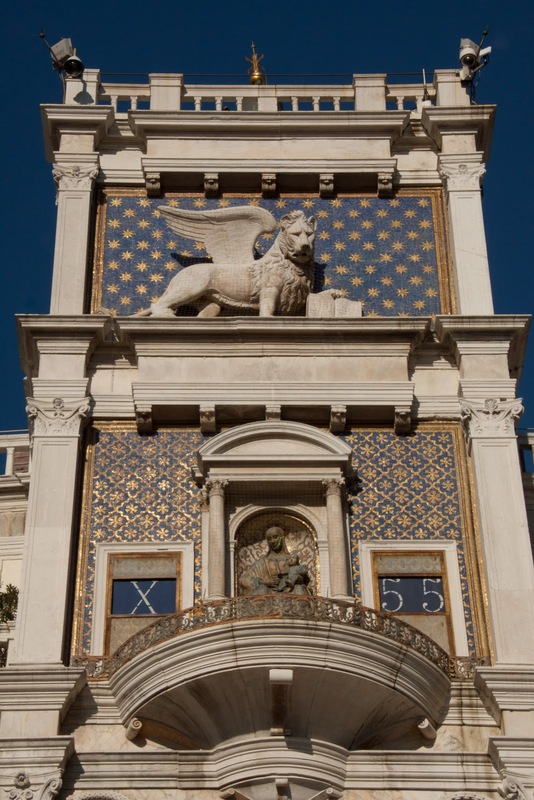 The digital clock took the place of the magi during Luigi de Lucia's 1857 renovation. 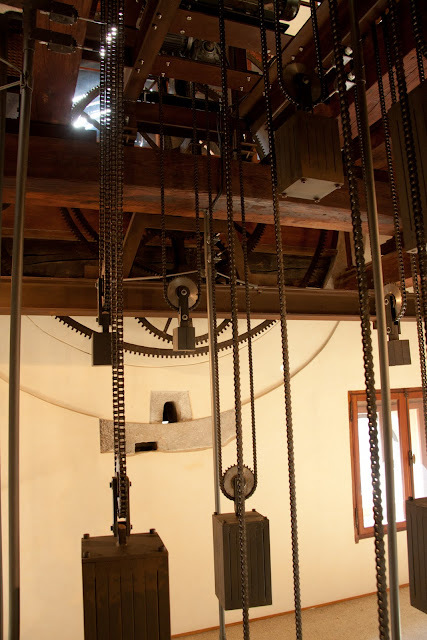 During our tour we were able to see the minute wheel turn! 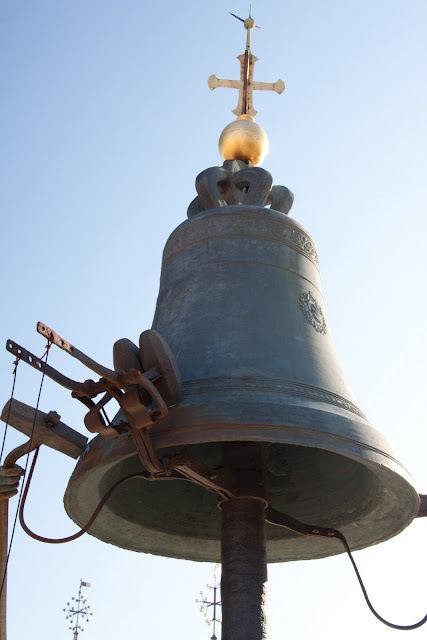 The moors have stood atop the tower since it's original construction (1497) and strike the bell at each hour. The moor on the left strikes the bell at two minutes before the hour (representing past) and the moor on the right strikes the bell at two minutes after the hour (representing future). 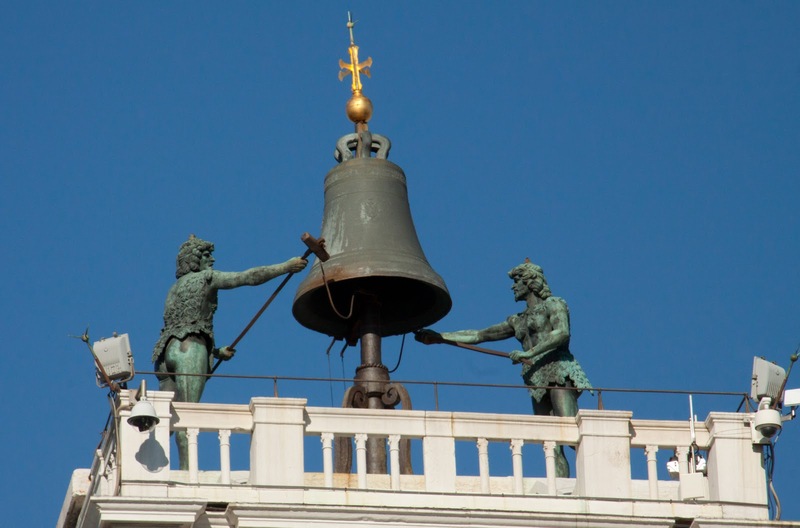 Each moor strikes the bell in a corresponding number of hits equal to the numerical hour (one strike each for one o'clock, twenty-two strikes each for ten o'clock PM). The small hammers in the back strike the bell at Noon and Midnight for a number of strikes equal to the number of strikes previously struck by the two moors earlier in the day. The moors are cast bronze (as is the bell) European shepherds and are called moors because of their darkening over time. 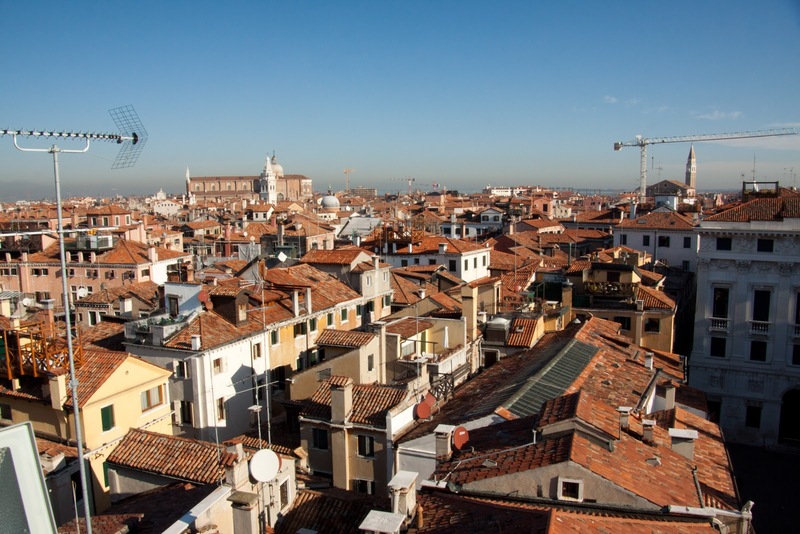 View over the city from the tower.